AXIA INTERNATIONAL FESTIVAL takes place every summer on the beautiful island of Naxos and proposes a wonderful journey full of music, art and special environmental activities. The 3rd Edition of the AXIA INTERNATIONAL FESTIVAL, August 11-18, offers a program full of exciting concerts, exhibitions, master classes and cultural events. Renowned musicologist-music critic –President of the Gina Bachauer and Artistic Director of the AXIA INTERNATIONAL FESTIVAL Constantine P. Carambelas-Sgourdas in cooperation with distinguished ceramists and General Directors of the AXIA INTERNATIONAL FESTIVAL Katharina Bolesch and Alexander Reichardt proudly present world famous artists, environmentalists and young rising stars. Pierre-Yves Cousteau, Nigel Shore, Hans Limburg, Keiko McNamara, Hokan Bojernson, Marianna Rigaki, Peter Stergiopoulos, Stathis Mavromatis and Stavros Diamantopoulos are among the guest artist who will appear during the Festival. Important highlight of the Festival will be the J. Cousteau Exhibition. 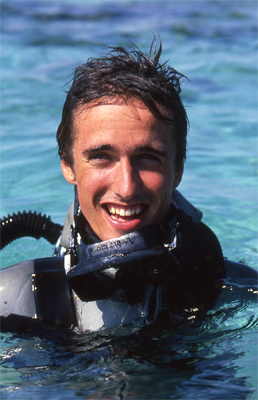 Pierre-Yves Cousteau, son of the famous explorer Jacques Cousteau, and Nobel Prize winner-member of the Academy of Athens Prof. Dr. Christos Zerefos will deliver lectures and share their views on important environmental issues with the public. Louisa Karapidaki, Art Historian at the Research Center of Greek Folklore at the Academy of Athens, will be the curator and organizer of the painting exhibition of the well known painter Apostolos Chantzaras. The exhibition will be inaugurated at the FISH & OLIVE GALLERY that is situated at the beautiful village of Chalki, on August 11. AXIA INTERNATIONAL FESTIVAL takes place under the Auspices of the GINA BACHAUER INTERNATIONAL MUSIC ASSOCIATON and this year hosts the 1st Edition of the Gina Bachauer International Summer Music Academy. A number of gifted young musicians, students of the Academy, will offer a special concert on the 12th of August. The Municipality of Naxos is a strong supporter of the Festival. AXIA INTERNATIONAL FESTIVAL is a special meeting point for all Music and Art lovers. Apostolis Chantzaras, exhibition. Opening of exhibition. Works by A. Vivaldi, F. Schubert, F. Mendelssohn-Bartholdy, J. Massenet a.o. The exhibition will last until the end of the festival. Jazz of the World, Halki, 21.00. Documentary film about J. Cousteau. “Environment in the Cyclades, past and future”. Lectures delivered by Prof. Dr. Christos Zerefos, Academician and Nobel Prize Winner, and Pierre Yves Cousteau (Cousteau Divers, Cousteau Foundation and Cousteau Society). Works by F. Chopin, F. Mendelssohn-Bartholdy, G. Rossini, F. Hiller, P. Viardot, J. Massenet, C. Debussy, a.o. The highlight of this year’s Axia Festival festival is the participation of the Cousteau Divers..